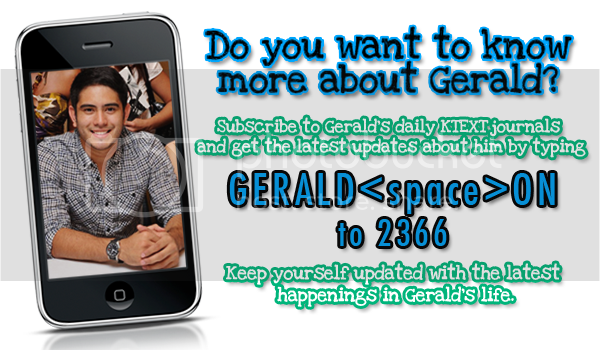 Gerald Randolph Opsima Anderson Jr. (a.k.a. 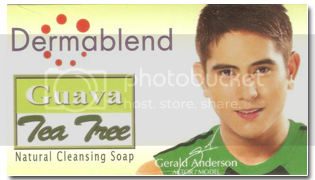 Gerald Anderson), born March 7, 1989 in Subic Bay, Zambales, Philippines, is a Filipino actor who rose to fame through the Filipino reality television series, "Pinoy Big Brother: Teen Edition" and TV drama "Sana Maulit Muli." Anderson was born to an American father -- an instructor in the Philippine Navy who travels back and forth to U.S. -- and a Filipina mother. When he was three years old, he and his family moved to San Antonio, Texas, and then to Springfield, Missouri when he was six. 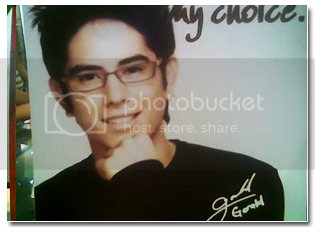 When he turned 14 years of age, his family moved back to General Santos City, Philippines where he got discovered by fellow Filipino actor Joross Gamboa. Gamboa then introduced the young Anderson to his manager, Jhun Reyes, who then brought him to ABS-CBN Network to join in his first TV appearance on the reality television first season of "Pinoy Big Brother: Teen Edition." 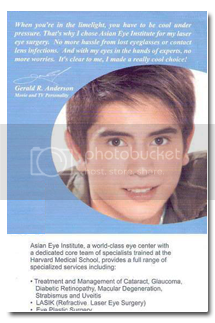 His appearance in the said show catapulted him to stardom and made him one of Philippines' hottest male stars. Since the end of the "Pinoy Big Brother: Teen Edition," Anderson has appeared in several shows on the ABS-CBN Network and has secured several TV ads and product endorsements. 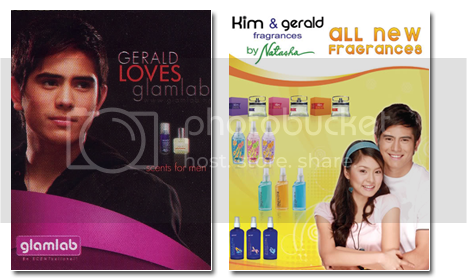 He worked on a primetime television series "Sana Maulit Muli" which became one of the most watched TV programs in the year of 2007, appeared in movies "I've Fallen For You" and "Shake Rattle & Roll X," as well as modeled for Bench clothing, Jollibee and Close-Up, just to name a few. When not acting, Anderson enjoys playing basketball, surfing the internet, listening to music on his ipod, playing PsP, and hanging out with friends. 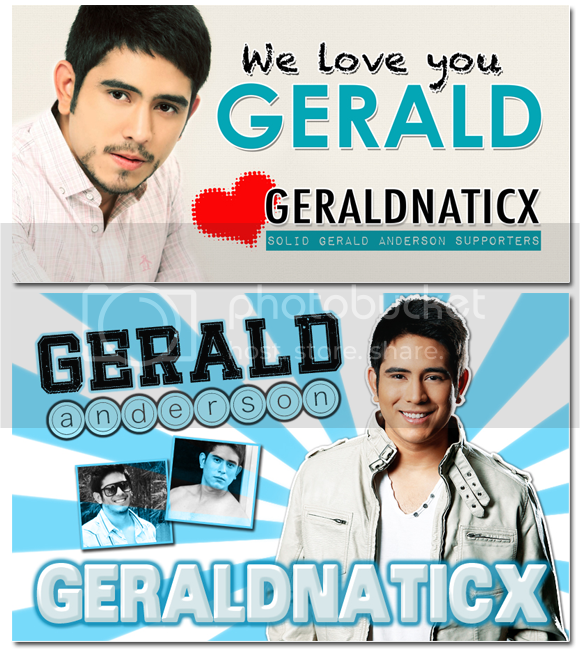 Gerald confessed he is indeed a certified chick boy. 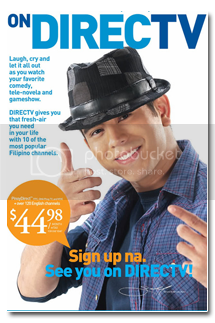 Well he couldnt help it if Filipinas dig his Filipino-American looks. If he were to choose between going back home to the US or staying here in Manila, hed choose the latter for now. Many people here say I am gwapo. Kasi dito girls really notice me. Im happy about it but all is still new for me. he says with a laugh. Hed also take pinays over American girls any day. I like long-haired, morena girls. Filipinas have this way of making a guy feel special. He remembers the days when girls would come to their house in Gen San to tell his mom that he got them pregnant. Gerald came clean and said he has been sexually active since the age of 16. Hes also had three serious girlfriends. He broke up with two of his exes because of his qualms about long distance relationships. Love is space and time measured by the heart; it feels no burden, thinks nothing of trouble and attempts what is above its strength. Stories of Great Love never have endings. The list of UPCAT passers is up and it says Alex Reyes passed. This good news makes a boy and a girl jump. The host of the anime costume play announces that Alex Reyes wins the grand prize for the night. From the stairs, a girl and a boy rush to claim the prize. There are two Alex Reyes; this spells disaster. 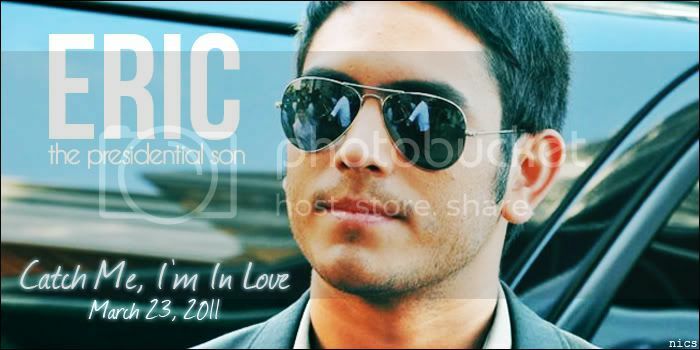 Alex Boy (Gerald Anderson) returns to the Philippines from Singapore with his mom, Tessa (Chinchin Gutierrez). His fathers job in a multinational company brought them to live in many parts of the world and he really never had something he can call home. He cant seem to focus on anything; he easily starts a hobby but never really finishes it. With the news of his parents breaking-up, Alex Boy has to do everything to achieve what he has always wanted; to live in one place as a family together. Alex Girl (Kim Chui) has set goals for herself and her family. She has to pass UP and get a job later to help her crumbling family. The inn-restaurant her family owns isnt doing well and it doesnt help that her parents, Jonathan (Albert Martinez) and Vangie (Lotlot de Leon), are always fighting. She has no time for anything but to find ways to earn. Perhaps, money would bring the peace in her family that she has always wanted. Alex Boy finds in Alex Girl the perfect partner for a tandem cycling competition he wants to join. In desperate need of funding for her studies, the prize of fifty thousand pesos convinces Alex Girl to team up with her annoying namesake. But everything Alex Girl has is talent; she lacks the proper techniques needed to win. As Alex Boy teaches her the techniques she needs, he learns from this driven girl the virtue of responsibility. In turn, Alex Boy makes Alex Girl see what she misses in her life; having fun. Two young hearts find company and comfort in each other. As they decide to nurture their young love, fate challenges them to leap over the greatest challenge their love story would ever face; the story of their own families past. Ive Fallen for You is a romantic light drama that tells about the universal story of great love that will surely capture both young and old hearts. Ten college students spend the weekend at their school to prepare an exhibit in exchange for lifting the suspension of their organization. But instead of getting busied with paper maches, and presentation, they find themselves haunted by the awakened spirit of a demented nun, later known as Sr. Maria Belonia, who has put a curse on a class picture of her section in 1898. It is Joy (heroine) who discovers this picture at a decrepit room (formerly office of Sr. Belonia), thereby starting the series of ghostly apparitions of three high school girls murdered by Sr. Belonia, the voices in Spanish, and the nuns creepy chuckling, grinning, glaring and blood-streaking sighting on the picture. The photo is black white, creased and odd-looking. Off-center is a nun (Belonia) flanked by five female students in white gala uniform to her right and only two to her left. To balance the picture, Belonia must kill three students who has looked into her eyes in the photo and put their souls in the vacant spot on her uneven side. With this, shell be able to fulfill her promise made to Mother Superior more than a hundred years ago that her class can be complete and therefore she need not be disgraced from the school. But with the horrible transformation taking place in the school , most especially represented by the famous AGMIRU hallway from the present to 1898, indicates Belonia is not just fulfilling a promise but is actually desiring to be alive again. In the final scenes where Joy gets almost killed by Belonia, two of her orgmates, Lui (her ex-boyfriend) and Greg witness the nun slowly coming to life from spirit to flesh. Lui attempts to stop Belonia by trying to destroy the class picture but couldnt as the photo cant be ripped at all. It is only when Joy started to embrace her psychic ability that Belonia finds her equal foe. Near death, Joy summons the three ghosts of the 1898 girls whom Belonia killed, to save her. The girls (Crisel, Sabel and Adela) finally appear to face Belonia and they themselves destroy the class picture. With that, Belonia and the three ghosts vanish to the afterlife to rest in peace. Joy and the remaining teens are safe. However, their group isnt spared from another suspension as theyre hold responsible for the unexplainable disappearance of their other friends (killed in the haunting). None of the surviving teens are able to explain to the parents and Principal what really happened. Story ends with the opening of the exhibit and one of two student-visitors seeing the ghosts of the dead teens. Voices come about in the air that this time, it is they who want to come back to life. Mae has always been in love with her best friend, Bogs. He on the other hand, is madly in love with his girlfriend, Anna. Mae is a very good best friend, but this doesnt make her a very good prospective girlfriend. He never saw her in a romantic light. Mae has to go through college witnessing her best friends relationship blossom, and she has no choice but to love Bogs in silence. Meanwhile. Bogs have always been in and out of relationships. The woman who caught his attention for the longest time is Anna. When Anna broke his heart, Mae then had high hopes that Bogs will romantically notice her. Mae knew how Bogs was with all his relationships. He is always proud, never the one who says sorry first in a fight. As a healing mechanism to his broken heart, he would always resort to having rebound relationships to girls and would retreat at the back of his auto shop to restore cars. Only Mae knew how Bogs hurt deep down inside. So she willingly put herself in his sight so that he would heal but when Anna comes back Mae struggles. Will she ever know if he really loved her? Can best friends really become lovers? Can rebound love finally become true love? Paolo Powie Barredo (Gerald Anderson) is out to prove to the world that he is not just a son out of wedlock, but that he can succeed in life independently. Though he started out roughly, he soon picked up pace and climbed the ladder of success. But as things started falling into place, other important things in his life had to take a backseat as he experienced the thrill of finally achieving his goal. Agnes Garcia (Kim Chiu) has always longed for the time when her family will finally be complete again. At the young age of 6, her parents left the country to work abroad  her mother was a medical technician in America, while her father worked as an engineer n Riyadh. Despite the distance, Agnes held tight to the inevitability that she will reunite with her parents once again when she passes the nursing exam and applies to work in the States. The moment these two saw each other at the café, they couldnt take their eyes off each other. Their attraction was apparent and it seemed that destiny brought them together. As they got to know the other better, they found solace and comfort in each others company. But the security they found in each other soon started to shake when their different life paths take them to different directions. Despite the love they both still have for each other, one must choose to decide when to let go, even if the other is still holding on. ASAP (All-Star Sunday Afternoon Party) is a musical variety show in the Philippines broadcast by ABS-CBN in the Philippines. 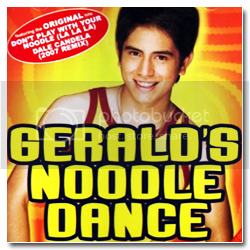 Gerald has been a mainstay since 2006. This the story of Stephanie (Kim Chiu), a girl who longs to be the center of attention. With busy parents and a brother thats the apple of everyones eye, Stephanie tries to get into the mean girls clique of Rea (Isabel Blaesi). But popularity always comes with a price, and in order for her to belong into the in crowd and get the mean girl necklace she has to get herself a trophy boyfriend. Along comes exchange student Simon (Gerald Anderson) the perfect boy toy and soon he becomes head over heels in love with Stephanie. But when her ex-bestfriend Joy (Mikki Arceo) finds out the truth, all hell breaks loose and Simon curses Stephanie because of her cruelity. When Stephanie wakes up the next day, she's terrified finding a boy looking back at her in the mirror. Will Manong (Budoy Marabiles), a known albularyo, be able to help Stephanie out of her dilemma? Or is she stuck being Stephen forever? 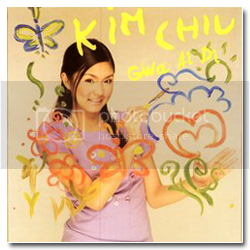 Abby (Kim Chiu) is the straight-laced, straight-A student. 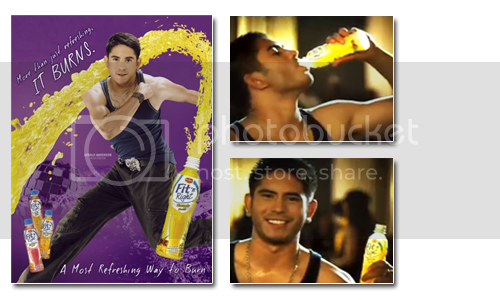 Migs (Gerald Anderson) is the trouble-maker who's used to getting away with pranks in school. But Migs is totally unprepared when he realizes Abby is the girl of his dreams and the daughter of the teacher he just got in trouble with. 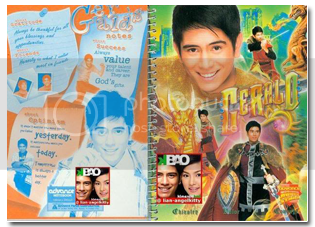 Aalog Alog is a sitcom from the Philippines which aired its first episode on ABS-CBN, on July 8, 2006. It stars comedienne Pokwang and starlet Keanna Reeves as Doña Etang and Keanna respectively, friends who become feuding neighbors. The title comes from the Filipino word for "shaking or jiggling back forth" and it can be explained in one of the setting's two houses which leans from side to side like a rocking chair. Interestingly enough, most of the cast have appeared previously as contestants of incarnations of Pinoy Big Brother: Keanna is the winner of the Celebrity Edition; Kim Chiu, who plays Doña Etang's half-Japanese, quarter-Chinese daughter, is the winner of the Teen Edition; Gerald Anderson, also of the Teen Edition, plays Keanna's nephew. Zanjoe Marudo, John Prats (both part of the Celebrity Edition), and Jason Gainza (of the show's first season) play OFWs running around Tokyo being chased by immigration officer Sandaro Yamamoto (played by comedian Ya-chang) after the trio have been overstaying in Japan just to raise funds for their trip home. The trio are former borders of Keanna's home. Pokwang herself was a part of Pinoy Big Brother's spin-off, Pinoy Big Brother Buzz. 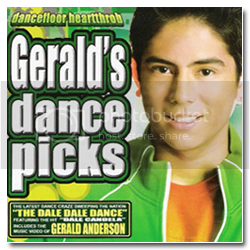 Gerald Dean Padilla (Gerald Anderson)  is Keannas California-bred younger brother who goes back to the Philippines to live with her after his father started a new family. Hes also attracted to Doña Etangs lovely stepdaughter Kim Chan. Set against the backdrop of a high school musical, Charm (Shaina) and Crystal (Kim) are bestfriends. Crystal is the confident production designer while Charm is the awkward stage hand who spends her time just wishing, instead of doing something, to be near her crush Nookie (Gerald), the cute lead guy in their show. Crystal, however, doesnt approve of her best friends choice but eventually, love will have a funny way of changing her mind. Meanwhile, by some twist of fate, Charm chances upon Johnny the Genie (Rayver)and Crystal ends up with Nookie. Through this 100-year-old fresh-faced genie, her wishes dont just bring her good voice, but love, as well. PBB Teen Editions Gerald Anderson and Kim Chiu take on the challenge of Maalaala Mo Kaya as they star in the shows episode this Friday, October 20. After the success of their Love Spell episodes "My Boy, My Girl" and "Charm & Crystal", the pair will test their dramatic chops as star-crossed lovers Kate and Eric without the magic effects this time. Kate and Eric have known each other since they were children and are wondering why their parents are so against their friendship which has blossomed into love. They hide their relationship from their families, knowing everyone will be against it. It turns out that the long-standing bitterness between Kates mother and Erics father stemmed from their former relationship with one another that ended up in a betrayal. Erics mother was Kates mothers best friend and she could not forgive the woman who stole the man she loved. Time has not healed the wounds of the past and the lovers found themselves suffering for their parents mistakes. But history repeats itself. After being separated by their parents, Eric becomes romantically involved with Kate's best friend, Teresa. This ironic circumstance made Kate sympathize with her mothers pain and frustration. Maybe she should learn from the lessons of the past. Will this mark the end of Kate and Erics love? A story of loving and forgiving by Arlene Tamayo and directed by Nuel Naval, catch Gerald and Kim this Friday in Maalaala Mo Kaya, on ABS-CBNs Primetime Bida after Maging Sino Ka Man. Baby Girl (Kim) just wants to live a normal teenage life but her overprotective brothers, Max (Carlos Agassi) and Brad (Bernard Palanca), think she should just focus on her studies. Her desire for freedom and the brothers adamance are a constant source of conflict until the brothers stumble on a brilliant strategy  set up their baby sister with a harmless boy. Enter Sonny Boy (Gerald), who is rumored to be gay. The brothers strategy boomerangs on them though, because Sonny Boy turns out to be as male as male can be. Ever fell in love with your best friend? Jodie (Kim) realizes that she's in love with her best friend, Arkin (Gerald). Unfortunately, it seems that the feeling isn't mutual, so Jodie decides to avoid him instead. Can she continue avoiding him that long? Are they really destined for each other? 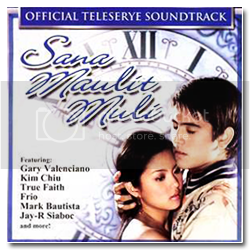 Sana Maulit Muli is about two young lovers who discover how true love can overpower fate and destiny. Small-town girl Jasmine Sta. 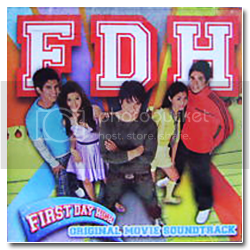 Maria (Kim Chiu) and Travis Johnson (Gerald Anderson), the illegitimate son of an American soldier, both meet as stowaways in a ship sailing from Cebu. They promise to write each other as they were separated but this promise is intercepted as soon as Camille Soriano (Erich Gonzales) deceives Travis by writing to him as Jasmine. In time, Travis' father dies and their family leaves for the Philippines only to meet up with both Camille and consequently Jasmine. A rocky start between Jasmine and Travis turns into friendship then real love. Jasmine learns later on of Camille's deception and soon after learns that Camille is her younger sister. In order to make amends with her sister, Jasmine gives away everything for Camille's happiness leading to the break-up. Due to the taunting of Travis' brother, a twist ensues as Jasmine dies by a bus accident. Given a chance to change destiny by the mysterious Mang Andres (Michael de Mesa), Travis leaps back in time to be with the person that he loves. Also, Brandon, (Jake Cuenca) falls in love with Bianca, Clara's (Glydel Mercado) sister. Clara is also Camille's stepmom. Jasmine's mother,(Mickey Ferriols)is the true mother of Camille, which means Jasmine and Camille are sisters. But Camille does not know the truth. Also, back to the love affair of Bianca and Brandon, he is falling head over heels for her and she does, as well, after all the sweet visits of him to her photo shop. (Bianca is a photographer from Boston who moves back because of the break up of her boyfriend.) Finally, Bianca gives in, and she accepts Brandon, sleeping in his condo for the night which results to her getting pregnant. Back to Travis and Jasmine; Travis attempts to let Jasmine love him but the fact that Jasmine does not know about their love hinders Travis. Despite Mang Andres request to Travis of not to reveal what he knows about the past, he stubbornly continues to try and change everything. Every time Travis reveals something from the past, it ultimate causes a ripple in time. For one, he confronts Camille about her lie on being Poknat. However, Camille insists that she is indeed the real Poknat by singing Poknat and Bokbok's song and also showing Travis the heart of the friendship, the sandal (which in Book 1 Camille did not have). Thus, instead of trying to gain Jasmine's love again, Travis could ultimately be changing the fabric of time for the worse, for example, Clara, Camille's stepmom, dies of a fire because of Travis. Jasmine realizes because of her life that Travis is saving, other people are dying in exchange for her life. But earlier before then, because Travis saved st the bet, Jasmine and Travis won't be disturbed by him and they can finally be together again. Brandon and Bianca are a happy couple, married and in love, with a new baby son. Jasmine and Travis get married and she is loved by all who is around her. As a happy husband and wife, Travis is a doctor as Jasmine goes to law school and all is successful. This sitcom started June 2007. This youth-oriented show revolves around the lives of several teenagers who are about to enter college. It features different characters battling with their own angst, as they try to make it in this world in a rather awkward stage, as they're not kids anymore, but they're also not full-fledged adults as well. Join them as they go about life, and relate with other people! Cindy-rella begins in the fairy tale world, where Prince William (John James Uy) is celebrating his 21st birthday. His uncle invites all the ladies in the kingdom to a ball, hoping to find a wife for his nephew. Among those invited is the pretty, kindhearted Cindy-rella (Kim Chiu), but on the night of the ball, her evil stepsisters and stepmother (Sheryl Cruz) tear her clothes and lock her in the basement. Cindy-rella's fairy godmother (Sheryn Regis) comes to the rescue and enables her to go to the ball in a fancy dress and carriage, but she warns that Cindy-rella should be home by midnight or she'll be caught back in her usual filthy clothes. The story goes on until after the prince chooses Cindy as his dancing partner. Her wicked family grows envious and throws her into a well, which links the fairytale world and the real world. The poor lass comes into the real world unconscious; fortunately, she is saved by a modern-day prince charming, Albert (Gerald Anderson). He falls in love with her, so he helps Cindy-rella survive in the real world. But can they be together when they belong to different worlds? Will Cindy choose Albert, a normal human being, over a dashing prince in the fairytale realm? Will there be a happy ending for Cindy-rella? It is based on 1977 film starring the Queen of Philippine Movies, Susan Roces, that won her second FAMAS Best Actress trophy. The 1977 movie was directed by the late Celso Ad Castillo, who also wrote the original screenplay together with Dominador B. Mirasol. The film starred a group veteran actors such as Dante Rivero, Celia Rodriguez, and Eddie Garcia. After the highly-successful primetime drama Walang Kapalit together with Piolo Pascual, Claudine Barretto returns to Philippines television after giving birth. The series was also casts the return of Diether Ocampo and of the successful Sana Maulit Muli loveteam, Kim Chiu and Gerald Anderson to the small screen. The series is described by the critics as "If you liked the first remake (Patayin Sa Sindak Si Barbara), this one will thrill you 'much' more". The director of the television remake of Maligno, Wenn Deramas, said that they made sure to stay true to the original film adaptation as much as possible. "Yung kwento ng Maligno, yun talaga yon. Masasabi natin na 100% ginawa namin yung kwentong yon. Ang binago lang namin ay yung treatment kung paano muling ikwekwento yung kwento ng pelikulang Maligno." The story begins with a girl named Jasmine, a brave girl that will do everything to make money and a guy named Julian, a very serious, cold hearted person that only focuses on his work (president of Amana Hotels). The story started with Jasmine, a girl working with her two friends Christine and Jeffery as tour guides to earn money for her and her father, Chito. They owe a few men a lot of money, which gets Jasmine into a chase everyday. While on the other hand, Julian is introduced as the new owner of his grandfather's Amana Hotels. But at the same time heartbroken because of Annika, the girl that refused his proposal to pursue her career as a beauty queen. When Jasmine and Julian's paths cross, Jasmine first works as a translator for Julian, so he can understand his investors who are Chinese. Apparently his next project is building another hotel in China. When Jasmine earns enough money, she sends away her father into hiding, she having to handle the problem herself. Because of his grandfathers illness Julian needs to look for his long lost cousin Hannah, and when he sees the resemblance between Jasmine and Hannah, hes forced to ask Jasmine to pretend as his cousin so that his grandfathers last wish can be fulfilled. So therefore, they both are bound in a lie that no-one in the family knows the truth. But soon Jasmine gets strong feeling for Julian but wants him to be happy too. But at the same time Annika (Julian's ex) gets jealous of her and find a way to get rid of her. Gerald Anderson as Julian Abueva - Absorbed in work and tense, Julian just wants to please everyone and succeed. He hired Jasmine to pretend to be his long-lost cousin named Hannah to grant his grandfathers dying wish. He loves Jasmine more than anything in the world but just can't admit it. "Karera sa Promotion," meanwhile, follows the journey of Perez (Gerald), an honest cop who believes that getting a promotion will help him influence fellow cops to lead moral, honest lives. He then gave his all in finding the mysteries behind a series of murder incidents, but will the haunting truth leave him unscarred? Will he survive this scary ordeal? Gerald Anderson as Joaquin "Keeno" Alejandro (Emo Prince) - As the proverbial black sheep in his affluent family, he is often misunderstood because of his reckless attitude towards life in general. But his typical brooding mood is simply his defense mechanism against the constant disapproval of his father on him. Tayong Dalawa is a Philippine primetime drama series broadcast on ABS-CBN. The story revolves around two half-brothers (Gerald Anderson and Jake Cuenca) who share the same name, the same aspirations, and the same lady-of-interest (Kim Chiu). David "JR" Garcia, Jr. was born into a poor family. His father, David Garcia Sr., deserted his mother before he was born because his wife, Ingrid Garcia was pregnant with David "Dave" Garcia, Jr. When Audrey King and her family went to Tagaytay for a visit, she fell from a set of high stairs. If it were not for David "JR" Garcia, who caught her, she probably would have died. When he gets help, she asks for his name. He tells her that he is David Garcia, Jr. When she gets to the hospital and is asked by her family who saved her, she says it's Gohann Goseph Juerriro, Jr. but David "Dave" Garcia, Jr. is the one who is credited. She did not realize that he is a different boy. As she grows up falling in love with Dave, Dave meets his brother and soon best friend, JR. Their families did not approve of the friendship. Dave's family thought that JR just wanted to use Dave for his money. Dave & JR's mother's would not let the two hang out. But their father allowed the friendship to continue, because there was something about JR that David liked, but he didn't know what it was. Dave's grandmother, Elizabeth, suspects and so does JR's mother, Marlene, but nothing stops these two from becoming best friends. When everyone found out that Dave & JR are siblings, the family rivalry became worse. Elizabeth, Dave's grandmother did everything to make sure that the news about the siblings did not come out. She lied and schemed, for Marlene, JR's mother, to go to jail. Audrey's father then sends her to Cebu to study there, but not before she meets JR. He feels like he has seen her before, but does not realize who she is. When Dave and JR were sent to the Philippine Military Academy, they started to get competitive with each other, in academics, and for their true love. When they finally got into battle, will brotherhood save them both, or will envy leave them both to die? Audrey has grown up in love with the wrong person, but when she realizes who her true savior is, will she be able to return her love? Agimat Presents: Tiagong Akyat, more popularly known as Tiagong Akyat ("Tiago the Climber") is the first installment of the Philippine weekly mini-series Agimat: Ang Mga Alamat ni Ramon Revilla ("Agimat: The Legends of Ramon Revilla") aired by ABS-CBN starting August 15, 2009. 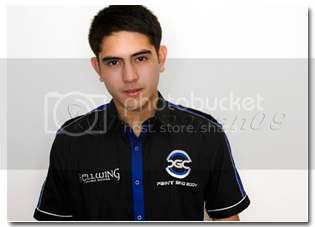 The character of Tiagong Akyat is portrayed by Gerald Anderson. After many years, Tiago meets Cornelia and gets a chance to profess his love for her. Cornelia's suitor Vincent becomes jealous of Tiago. Meanwhile, Cornelia's father Mayor Mariano is against his daughter's relationship with the impoverished Tiago. Cornelia decides to elope with Tiago and they plan to get married. One night, Cornelia tells Tiago that her father wants to meet him. Tiago goes to Mayor Mariano's house where he found him bloody and unconscious. Vincent arrives and tells the guards to arrest Tiago. After killing Mayor Mariano, Vincent frames Tiago for the murder. The court finds Tiago guilty and sentences him to life imprisonment. In jail, Tiago befriends Big Max, Nardo, and Pablo. After learning that Cornelia had married Vincent, Tiago makes several attempts to escape but miserably fails. 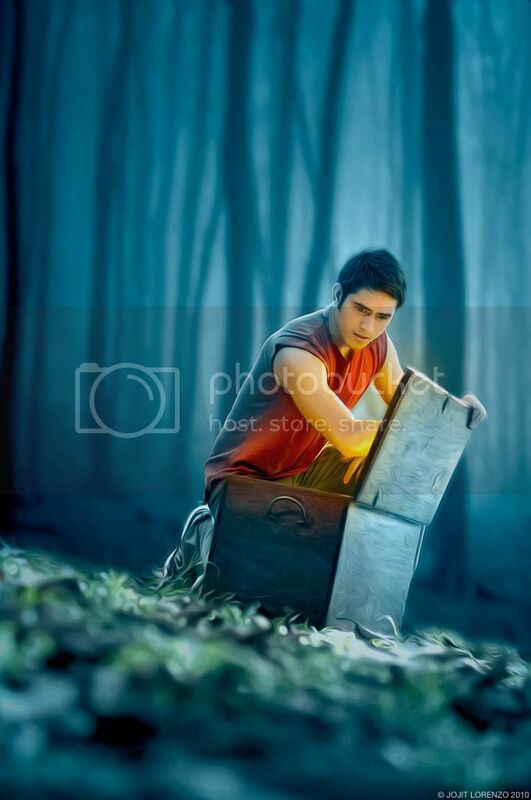 Years pass and Tiago discovers that the urban legend about the amulet called Pangil ng Kidlat is true when he meets Castro, the owner of the amulet. Castro gives his amulet to Tiago, and before dying, he asks the young man to use the amulet to prove his innocence. Tiago, together with his newfound friends inside the prison, then successfully escape. Tiago intends to force Vincent to admit the truth. Cornelia hears from Vincent that he did murder Mayor Mariano, Cornelia's father. Tiago and Vincent struggle for the gun, and they accidentally shoot Cornelia. Before dying, Cornelia tells Tiago that she loves him, and that they have a son named Martin. Vincent tells the police and Martin that it was Tiago who killed Cornelia. With the help of his fellow fugitive, Tiago takes his son from Vincent. Nardo goes to the house of his sister Norma, and there Tiago tries to convince his son that he is a good man. Norma is worried that Tiago will only bring trouble, but she eventually understands his desire to win his son. She befriends Martin and helps the boy trust his own father. Tiago lets Martin hear the voice recording wherein Vincent admitted it was he who murdered Mayor Mariano. Vincent asks Red's help in finding Tiago and getting Martin, and Red promises to use his influence. Meanwhile, Tiago and his friends decide to help their poor neighbors by stealing from the wealthy and the corrupt. Tiago also develops a special relationship with Norma. Gerald Anderson brings to life the story of Jerome Concepcion who was diagnosed with Tourette Syndrome when he was already in his early 20s. Jerome bears a lot of emotional scars because he grew up being severely disciplined by his mom Criselda who never understood his odd mannerisms and mood swings due to his illness. After his father passes away soon after being diagnosed with lung cancer, Jerome is left with no choice but to help his mom take care of his siblings. Is it too late for them to fix what went wrong between them? And how will Jerome deal with all the trials in his life when his illness always gets in the way? This episode of Maalaala Mo Kaya is directed by Ruel Bayani and also stars Rio Locsin, Nono Buencamino, Robi Domingo, John Manalo, Mara Montes, and Julijo Pisk. The story begins when soon-to-be-married couple Paul Jake who has a deepd secret burying inside him and Sam are invited to stay in an exclusive beach resort together with their friends Rica, Cathy, and Patria. But instead of coming as a small group, their other friends later join them including Hermes, Tom, and Johan who are all out to accomplish their hidden agendas. It could have been the perfect time for rest and relaxation if not for the mysterious Daniel who disguises himself as a mere bankero when he actually owns the whole island where theyre at where he has a hidden agenda against Paul Jake who he wants to kill. Celine is trapped in an unhappy marriage with Frank. One day Celine is shock to hear that Franks plane crashed. Grieving the loss of her husband, she finds comfort in her friendship with Steve, the assigned investigator over the disappearance of Frank. Celine also discovers that Frank had an affair with Astrud and they had a love child named Ringgo. A few years after, Frank is found alive. Steve walks away from his relationship with Celine. But Celine is already pregnant, however, she tells Frank that he is the father of the daughter she named Gwen. From then on, Celine vows to be loyal to her family. After 18 years, Celine is reunited with Steve. She learns that Steve is already married to Celina. Celine realizes that she still loves Steve, but she knows that they are no longer meant to be. To make things more complicated, Gwen, who has grown into a pretty young lady, will meet Robbie, the younger brother of Celina. Gwen and Robbie will start of as enemies, but later they will form a bond that will violate the laws of love. ABS CBN Film Productions, Inc.
[highlight]NOTE:[/highlight] Be POLITE and RESPECTFUL.